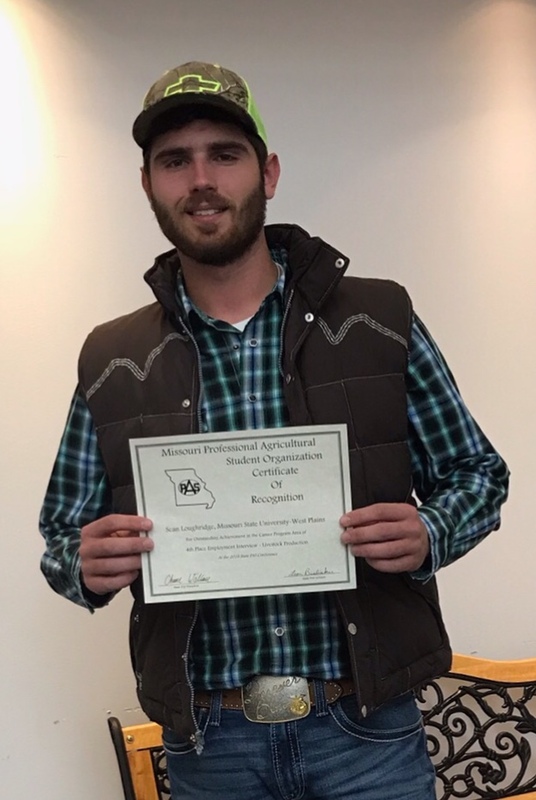 MSU-WP student Sean Loughridge recently competed in the 2018 Missouri PAS (Professional Agricultural Student) Conference that was held at Crowder College. He received outstanding achievement in the career program area of Employment Interview-Livestock Production. He will travel to Loveland, Colo. in the Spring to compete at the national level. Sean is a 2018 Licking High School graduate.